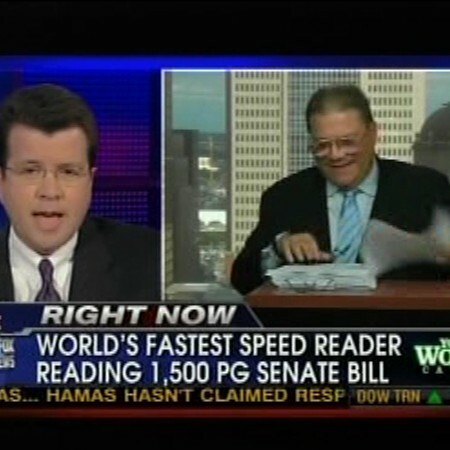 Increase Productivity By 100% In A Single Session With The World's Fastest Reader--Guaranteed!!! Howard Stephen Berg is a meeting planners dream, an international celebrity, humorist, and brain-based learning expert who created a revolutionary presentation for super-fast learning. Howard Stephen Berg is the world’s fastest reader (Guinness Record Book), and he empowers individuals to take control over vital information to increase productivity while giving them more time for the things that matter. Whether for work, school or both, it is more than just speed reading, Howard has developed a total knowledge management solution for succeeding in today’s knowledge-driven economy. Skills your attendees need to stay on top of vital information and eliminate information-overload. Perhaps you saw him with Justin Timberlake & Peyton Manning as the SONY E-Reader Spokesperson, or on Cavuto completing the 1,500 page health care bill in just 50 minutes. Missed it? Go to www.WatchHowardRead.com. Howard has appeared on over 1,100 radio and television programs. He helped launch the Comedy Network, and was Jon Stewart’s first TV guest. Meeting planners love Howard’s ability to blend side splitting humor, with revolutionary knowledge-management strategies. Howard is the author of many best-selling books and programs. His Time-Warner Book, “Super Reading Secrets,” is in its 28th reprint, and Barrons Books requested him to write, “Speed Reading The Easy Way”, for their student audience. Nightingale Conant has sold over $65 million of his audio-video programs. Howard is available as a keynote speaker, breakout session presenter, 1/2 day presenter, full day presenter, and 3-5 day program. Howard has delivered thousands of presentations, and his client list includes numerous Fortune 500 companies, Universities, Associations, and Schools. His ability to customize his materials to your specific needs will make him a favorite with your group. Super Reading Secrets. Published by Time-Warner. In its 28th reprint. Maximum Power Reading. Online speed reading and learning program. Who;s Who On The East Coast. Find out more about Howard Berg-World's Fastest Reader at http://speedlearningpower.com/.